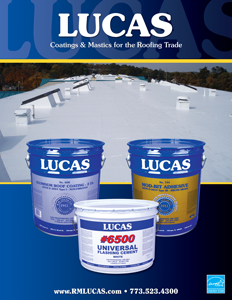 Lucas solvent based coatings and cements offer professional roofing contractors year round solutions for repairing and restoring all types off roofs. 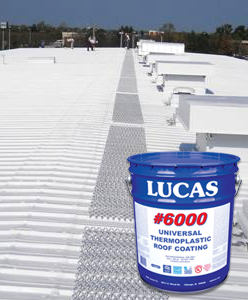 Lucas solvent-based thermoplastic rubber based coatings offer higher elongation and tensile strength than water-based coatings or silicones. Their reduced permeability helps to prevent corrosion on metal roofs making these products the best option for metal roof restoration. Thermoplastic sealers and flashing cements provide all-weather repair solutions that work permanently on all types of roofs and are the ideal maintenance products for building owners and contractors.